to learn and discuss market trends and biologic development strategies. This is the stage for the C-suite, key influencers and trend-setters to meet, share and develop new ideas. 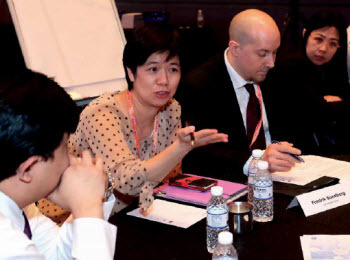 Driven to encourage innovation and advancement in technologies, over 500 APAC biopharma leaders have shared their knowledge at the various speaking sessions and think-tank sessions, slots that are taken up only by the best in the region. In 2016, our conference format is refreshed to drive deeper into the core of the various functions in the biopharmaceutical value chain. Each session’s topics are crafted to focus on a key trend in Asia’s biopharma industry, be it trials, manufacturing, supply or biotech investments.